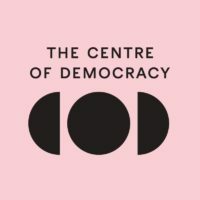 When resistance occurs citizens in a democracy organise to effect change. 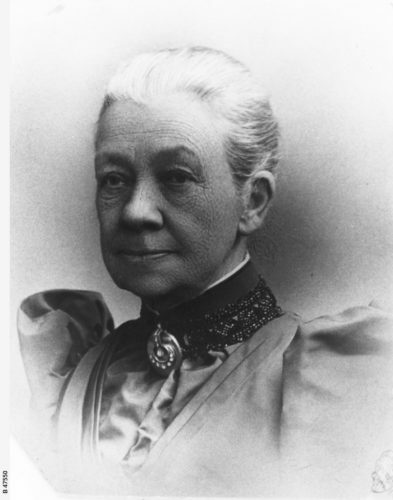 Mary Lee became Secretary of the Women’s Suffrage League upon its formation. That the women of the country should have a voice in the choice of representatives to the House of Legislature. That the qualifications entitling women to vote should be the same as those which apply to men. That while woman’s suffrage is desired no claim is put forward for the right to sit as representatives. In 1891 the League got its first female President, Lady Colton, who succeeded Edward Stirling. Colton was “experienced in management and had a sound knowledge of the colony’s politics.”[ix]. 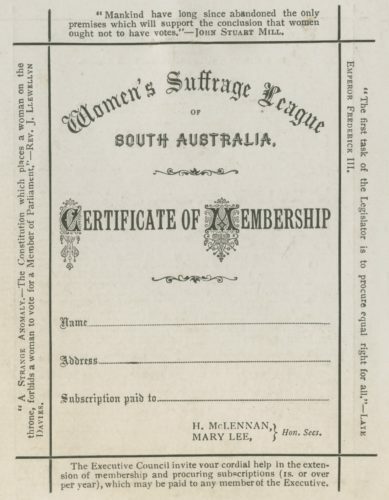 The Women’s Suffrage League and their many supports were responsible for the massive petition presented to South Australia’s Parliament in 1894, which secured support from the Parliament in the journey to equal suffrage. We will learn more about this petition later in the year. Next month we will discover more about a few key members of the Women’s Suffrage League. Follow the hashtag #Suffrage125 throughout 2019 to learn more. [ii] Dr Helen Jones, ‘Franchise’, SA History Hub, History Trust of South Australia, http://sahistoryhub.com.au/subjects/franchise, accessed 19 March 2019. [iii] Office of Women, South Australian Government, ‘Timeline’, https://officeforwomen.sa.gov.au/womens-policy/125th-anniversary-of-suffrage/timeline accessed 19 March 2019. [vii] Jones, Helen. (1996). ‘South Australian Women and Politics’. In D. Jaensch (Ed. ), The Flinders History of South Australia – Political History, Adelaide, South Australia: Wakefield Press, pp. 414-447.